Thank you to everyone for coming to 3 Way Conferences this week. 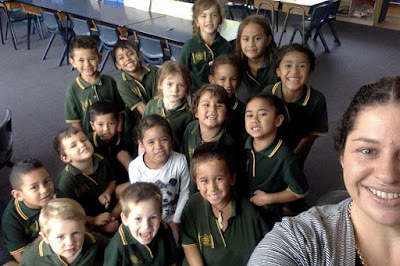 The relationship we have with each students family and whanau has a significant impact on their learning. It was great for the students to share their learning with you and to set goals. We are having a great time swimming this week. We have been learning how to be safe around water. Miss Patrick is amazed by how our confidence has grown this week. This is us patiently waiting for our lesson and practicing our letter formations. We were lucky to have Captain Cash visit us at Netherby. She spoke to us about different types of money and needs/wants. We loved having a clue hunt around the classroom and learning about money. Our shared reading book for this week is called "Lost". It is about a creature who gets lost. We loved this book because it also came in a smaller size, that we could each take home and share with our whanau. Here are our own creatures we created using fur.